Capital Hire is a local family owned hire business hiring Dingo Loaders, Excavators, Ride on Mowers, Wood Chippers & Camper Trailers. With over 20 years of industry experience, we have been operating in the Canberra, Murrumbateman & Yass regions for the past 10 years. If you are thinking about going on a camping holiday, Capital Hire can also help with a range of camping equipment including camper trailers, generators, fridges and freezers. Have a lot of rubbish to get rid of? Enquire about our skip bin hire or green waste bin hire. We are happy to provide obligation free quotes on any of our hire services. Contact us today to find out more. Looking for Equipment Hire in Manton, Canberra or Yass? 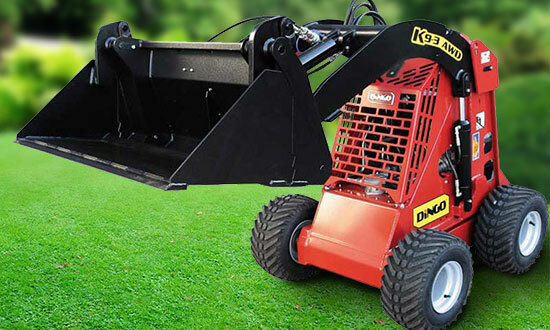 Capital Hire offers a range of quality equipment for hire including dingos, excavators, ride on mowers and woodchippers.